Cinders have collected in the bottom of D&RG no. 480's smoke box. 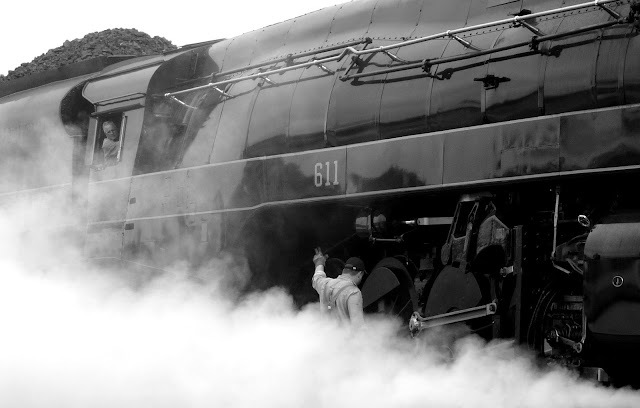 The image of a locomotive at speed throwing black smoke out of its stack is so iconic that it has become a shorthand to represent past eras in which placed little--if any at all--importance on preserving the natural environment. 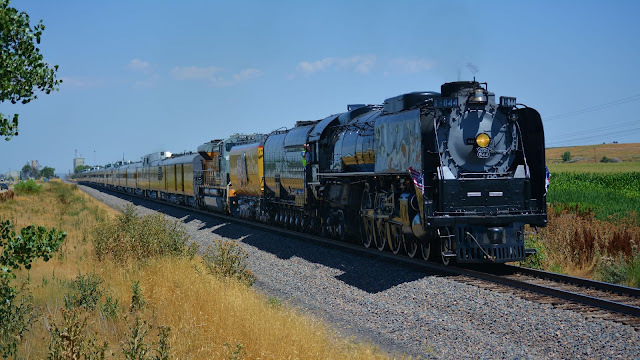 By the early 21st century, we have come full circle, and preserved steam locomotives seem completely out of place in a world where environmentalism and the long-term survival of the industrial world are linked. Though at this point there has not been a movement to curtail their operation it is worth considering exactly what sort of an environmental impact do these machines create. 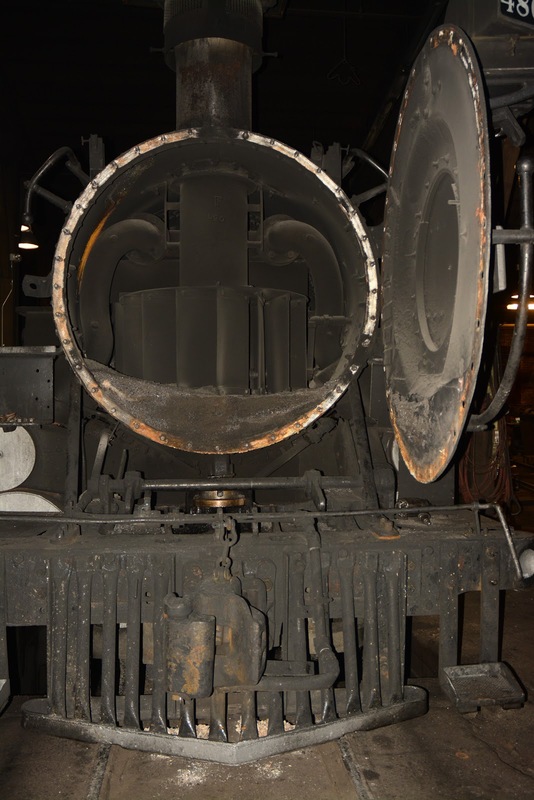 Working steam locomotives create two primary byproducts that could be considered pollution: Their smoke, and the ash left behind in the firebox as the fuel burns. Coal burning locomotives are far dirtier than their wood or oil burning counterpart: Most grades of coal, except the highest grades of anthracite that were seldom used as a locomotive’s exclusive fuel, produce approximately one to three square yards of ash and leave a flurry of cinders in the train’s wake. Oil and wood produce much less ash, enough that it is usually sucked through the tubes and expelled through the smokestack. On average, burning a gallon of diesel fuel creates about 22 pounds of carbon dioxide, and a ton of coal about 5,725 pounds. A mid-sized (Mikado or ten-wheeler) locomotive will burn average 15 gallons of fuel to the mile or, to calculate based on available BTUs, about one tenth of a ton of coal. One could combine these numbers with the length of a trip to arrive on an estimate of pollutants released. However, those numbers will be insufficient to represent the myriad complexities of operating steam locomotives that make it difficult to objectively measure its operation. In this picture, I am using an air gun to clean the ash out of the 765's ashpan. 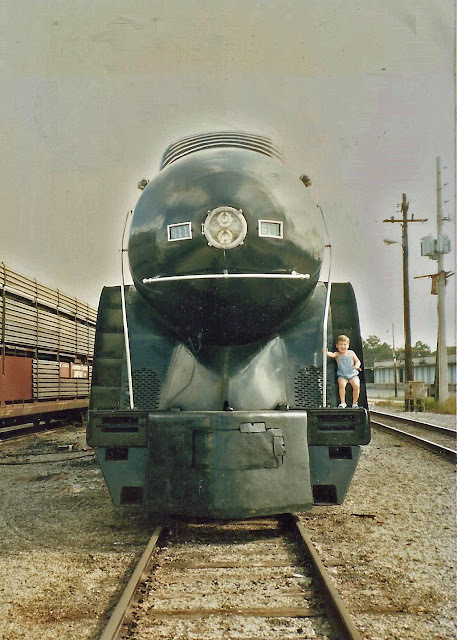 First of all, the many different steam locomotive designs in the past and present--there are exceptionally few examples in which two members of the same class survive in functioning condition--means that there can be no “average” amount that accurately reflects the impact of each individual locomotive. The narrow gauge engines at the Milwaukee Zoo will obviously burn less coal and thus have much smaller footprints than an enormous engine like the 765 or the 611. Averaging the numbers will poorly reflect the reality of both sizes of engines. What sort of tonnage a locomotive is hauling and what sort of land it is traversing at a particular point in time will also introduce imprecision into these numbers. 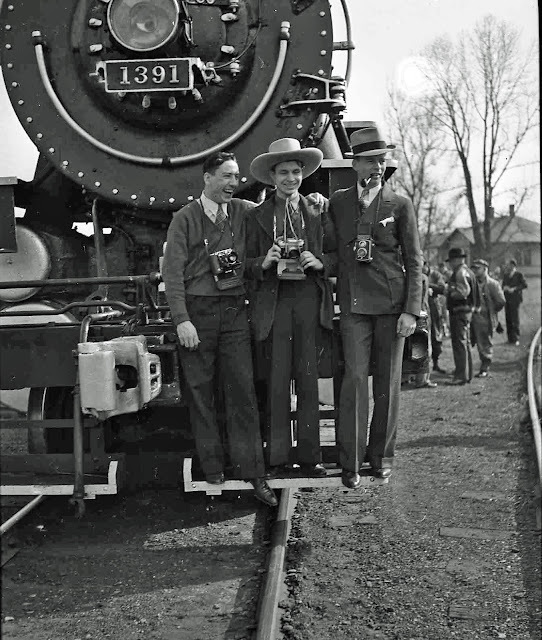 I have been told by friends on the Durango and Silverton train crews, for instance, that their firemen will typically shovel between five and six tons into the locomotives on the way up to Silverton, but only one to two tons on the way back down. The quality of fuel will cause even further variability in the amount of pollution that a specific locomotive produces: The higher a grade of coal a railroad is able to access, the less ash, smoke, and cinders the engine will produce. However, the exact quality and chemical composition of coal can vary significantly from place to place even within the same mine, so, again, there are too many factors at work to arrive at universally relevant figures. The same is true for oil fired locomotive. Because the atomizer is much less discriminating in the exact type of fuel it can burn than the firebox designed for coal, “oil” can mean anything from Bunker C to, ironically enough, diesel fuel. Like coal, the different grades of oil burn at different efficiencies and contain different levels of impurities. 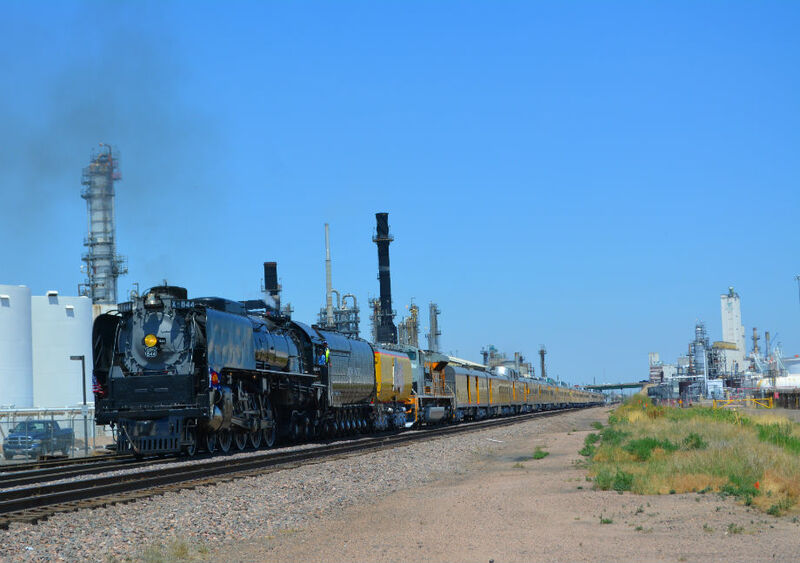 Considering that many railroads mix more than one oil or switch back and forth between them, there is imprecision in trying to define the impact of oil fuels as well. Finally, the crew’s individual styles in firing and operating the locomotive also have significant influence in its efficiency. 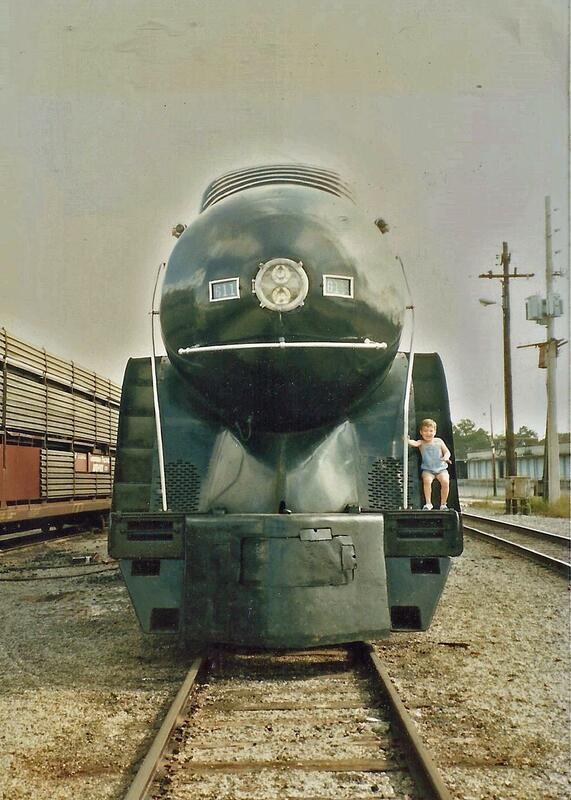 As photogenic as they are, those pictures of locomotives charging ahead of billowing pillars of smoke represent significant waste of fuel (excepting cases that were staged for photography or where economic or geographic factors forced the railroad to burn poor quality grades of coal not typically used in locomotives). 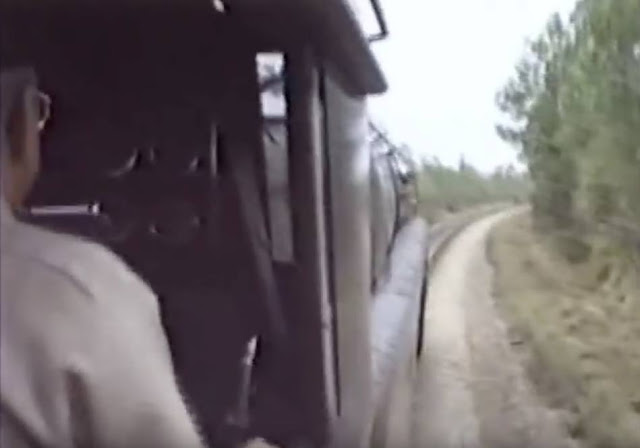 Railroad management placed great emphasis on running with a clean stack and conserving fuel--small waste added up into a significant loss of revenue when repeated across an entire railroad. An inexperienced or careless engineer could also waste fuel by using more steam than was necessary or by allowing the engine to slip or stall. home heating, and other sources. However, contemporary citizens were keen to observer that locomotives were a substantial source of grime and pollution. Early wood-burning locomotives were also prone to spitting out live embers which frequently set nearby grasslands or forests on fire. The problem of smoke, not a need to develop machines that produced more speed or strength, that spurred the implementation of electric traction in New York City and other densely populated areas. Elsewhere, the phrase “wrong side of the tracks” originated to describe less desirable and lower cost housing that was located downwind of the smoke and cinders originating from passing trains. The smoke and cinders coated any exposed surface: Anyone who collects insulators will be familiar with the challenge of scrubbing layers of “train gunk” off of the glass. There is no way to completely eliminate the exhaust without fundamentally changing the nature of the machine, but in recent years there has been some experimentation to test and develop alternate fuels for use in steam locomotives. This is in part economically motivated--coal is expensive and difficult to source in small batches--but also helps to reduce the footprint of operating locomotives. 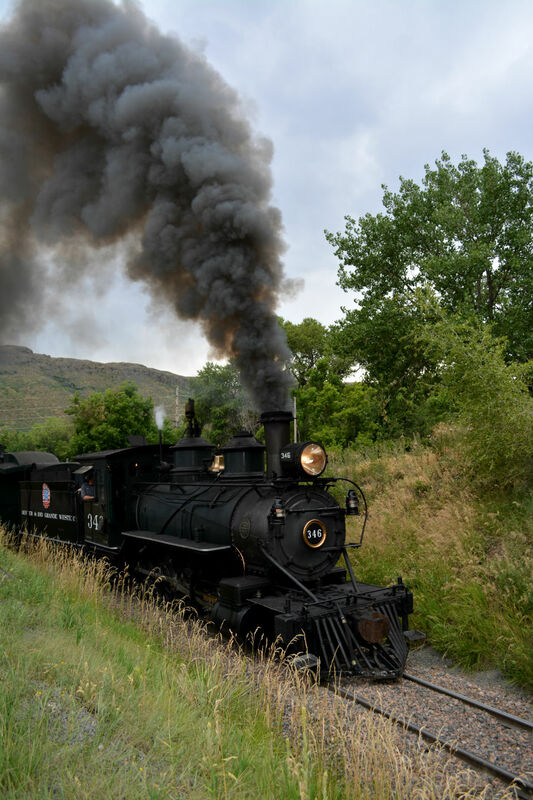 At the Grand Canyon Railway, the preserved steam locomotives burn waste vegetable oil for at least part of their trips. 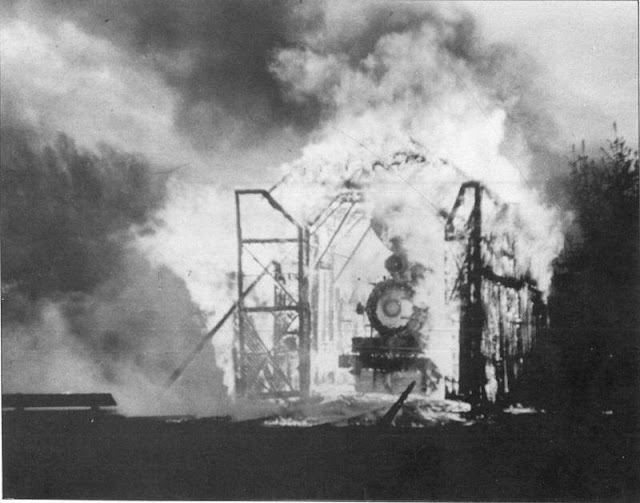 At the Durango and Silverton, managers began burning wood pellets overnight to cut down on the smoke the locomotives release into the city. Most promising is perhaps the experiments with biocoal carried out at the Milwaukee Zoo and the Everett Railroad in Pennsylvania— when perfected, these fuels will give operators of coal-burning locomotives additional options if coal becomes difficult to access. In conclusion, each individual steam locomotives does, indeed, create a level of pollution that is staggering by today’s standards. However, it should be taken into account that there are very few of them running today--about a hundred and fifty by the most stringent definition of “running”--and that the majority of them run about a half dozen times per year. Taken as a whole, they are a drop in the bucket compared to major sources like power plants, cars and commercial aviation, and factory farming.